The Bocas del Toro region is part of the larger La Amistad area, which holds Biosphere Reserve and UNESCO World Heritage Site statuses for its rich ecosystems, including the reefs of Panama’s Bastimentos National Marine Park. 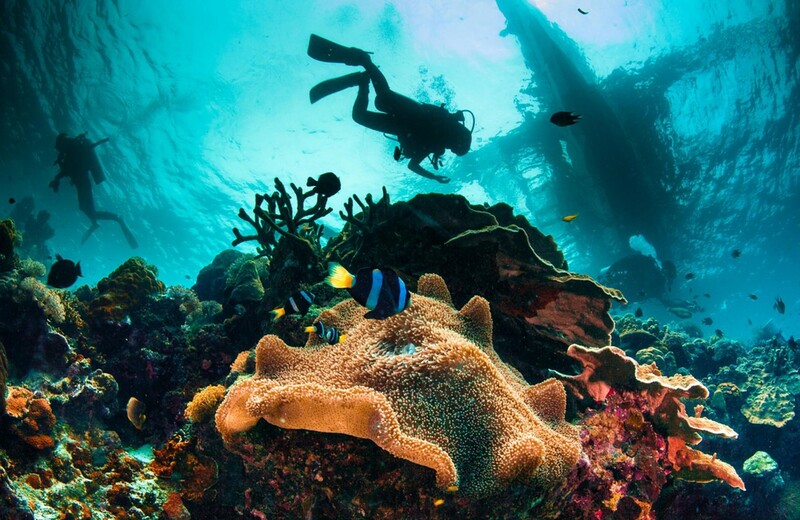 The waters are inhabited by a wonderful variety of tropical reef creatures including starfish, sting rays, nurse sharks, lobster, angel fish, parrot fish, damsel fish – the list is endless. Dive schools regularly visit up to 15 locations with depth ranges from 2 to 18 meters inside the bay area. Many centers offer try-dives, open water courses and education right through to dive master. Some dive sites include Crawl Cay, The Wreck, Hospital Point, Buoy Line, Playground and many more. The best time of year for diving is April-May and Sept-October but there is good visibility year round.